Poisoned former spy Sergei Skripal has found it difficult to accept the Russian government tried to have him killed earlier this year, according to a new book published this week by a BBC journalist. 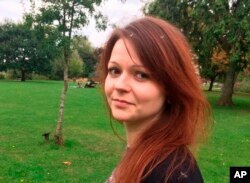 According to reporter Mark Urban, who has interviewed the former spy, Skripal has struggled to come to terms with the nerve-agent assassination bid on him and his daughter, Yulia. Urban confirms that Skripal briefed Western intelligence services as recently as last year on Russian operations, but the book falls short of explaining why Skripal’s former colleagues in the Russian military service, the GRU, decided to try to kill him this year, just weeks before Russian leader Vladimir Putin was campaigning for reelection. According to interviews in the book, The Skripal Files: The Life and Near Death of a Russian Spy, Skripal did brief the British security services on a1990s-era corruption scheme involving among others Nikolai Patrushev, a top Russian intelligence chief and Putin ally. file - This is an image of the daughter of former Russian Spy Sergei Skripal, Yulia Skripal taken from Yulia Skipal's Facebook account on Tuesday March 6, 2018. Skripal and his daughter survived a nerve-agent attack in March that the British government has blamed on the Kremlin, arguing evidence points to the assassination orders coming from the top of the Russian government. A local woman not connected to the original attack in the English cathedral town of Salisbury died in July after being exposed to the same toxin, which was contained in a discarded perfume bottle dumped in a trash bin. 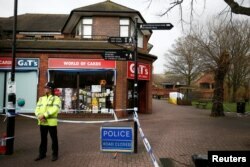 Britain, the United States and most European Union countries responded to the Salisbury attack with expulsions of Russian diplomats and financial sanctions on Russia. 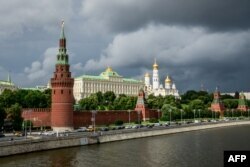 FILE - This picture taken on July 9, 2018 shows the Kremlin in Moscow. The Kremlin denies any involvement in the attack and has maintained variously that the poisoning never happened, that it was carried out by Britain in order to blame Russia or that unknown third parties were responsible. Skripal was a double agent for British intelligence in the 1990s. In December 2004 he was arrested by Russian authorities, tried, convicted of high treason and sentenced to 13 years in prison. He was included in a 2010 spy swap and settled in Salisbury. Skripal was betrayed by a Russian mole inside Spanish intelligence, Urban writes. 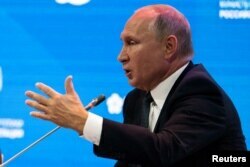 Wednesday, at an energy forum in Moscow, Russian President Vladimir Putin went off script to describe Skripal. Russian President Vladimir Putin speaks during a session of the Russian Energy Week international forum in Moscow, Oct. 3, 2018. “I see that some of your colleagues are pushing the theory that Mr. Skripal was almost some kind of human rights activist,” Putin remarked. “He was simply a spy. A traitor to the motherland. There is such a concept — a traitor to the motherland. He was one of those. He's simply a scumbag, that's all,” he added. In the book, Urban describes several meetings he had with with Skripal in 2017, about nine months before the poisoning. Skripal said he didn’t want to be quoted directly, saying, “You see, we are afraid of Putin.” Above all, he wanted to avoid offending the Kremlin, so Yulia and his son, Sasha, could visit him without hindrance from Moscow. And he wasn’t completely at odds with the Kremlin when it came to some political and foreign-policy issues, according to Urban, especially over Moscow’s relations with Ukraine. 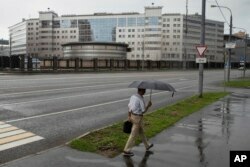 FILE - A man walks past the building of the Russian military intelligence service in Moscow, Russia, July 14, 2018. Another big question, the book doesn’t answer, is why the attack was so botched, say analysts and intelligence insiders. The Russian intelligence services has a fearsome reputation when it comes to assassination and abductions overseas. But it has had its fair share of bungled missions, too. But analysts and Western intelligence officials are querying whether the Salisbury attack was just a matter of clumsy spy "tradecraft" or a display of arrogant defiance by the GRU. “Both of the alleged hitmen made little effort to disguise their tracks and used the same aliases and false passports on several trips across Europe,” a former British intelligence officer told VOA. “That is either shoddy tradecraft or a demonstration of insouciance,” he added. FILE - This combination photo made available by the Metropolitan Police on Sept. 5, 2018, shows Alexander Petrov, left, and Ruslan Boshirov. The British government has publicly identified the men by the aliases it claims the men used, Ruslan Boshirov and Alexander Petrov. Moscow has responded derisively to reports claiming one of the two men suspected of the poisoning is a highly decorated GRU colonel in Russian military intelligence, Anatoly Chepiga, who was awarded the Hero of Russia medal, the country’s highest honor. Chepiga has been spotted in a photograph displayed at his former military academy, according to a report Tuesday by RFE/RL's Russian Service and the open-source investigative consortium Bellingcat. The photograph adds to recent disclosures by Bellingcat that have used data from passport databases, online photographs, and military records to shed light on "Boshirov’s" GRU ties. According to Russian journalist Serhiy Kaniev, who assisted in the Bellingcat investigations, Chepiga may have played a major role in the evacuation to Russia of deposed Ukraine President Viktor Yanukovych in February 2014, during the Maidan protests. Kaniev has claimed Chepiga's wife Galina, with whom the 39-year-old shares two children, also has worked as an undercover agent overseas.